How to increase Google PageRank of your Blogger Blog ? 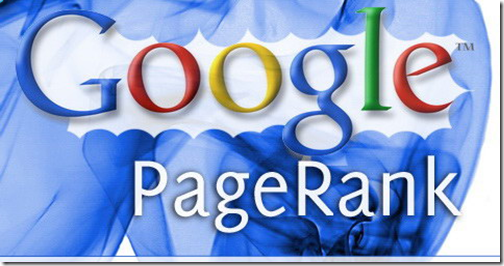 You would like to read 'What is Google PageRank?' first. Now that you know something about what Google PageRank is, here are some tips for you to increase PageRank of your Blogger blog. It is the most popular tactic used by the webmasters to increase the pagerank of their sites. Here you exchange links with other blogs of related niche i.e. you place link to a blog on your blog and in turn ask that blog-owner to place your link on his site. In two way link exchange, you link to the same blog where your link is placed. While in three way link exchange, you link to one blog and in turn the owner places your link on some other blog but not on the same blog. The most important one - exchange links with related blogs only. Avoid excessive link exchange. Google is strictly against excessive reciprocal link exchange. It is getting backlinks to your blog without linking that blog in turn. But question is 'How to get quality one-way backlinks?'. The simplest answer is 'Write quality content', and if it's really good other bloggers will link back to your blog getting you one-way backlinks. II - Comment on Dofollow blogs - Recently there has been some revolution in blogging and many bloggers have removed the 'nofollow' attribute from their comments,in order to encourage comments on their blog.Now you get a backlink whenever you comment on such 'dofolow' blogs with your url. But the tough part is to find the 'dofollow' blogs of related niche.You can Google for terms like "U Comment I Follow',"Dofollow blogs list' etc. III - Posting on Forums - This one is also very effective.Many forums allow signatures at end of post of user,thus getting you a backlink.But you should take precaution to post on forums related to your niche only,,otherwise it won't help you. IV - Submitting to Directories - This can get you some backlinks,but it's very time-consuming.Also your links are placed very deep not giving you much benefit. The only directory I would recommend is DMOZ, but it's very difficult to get yourself listed at DMOZ. V - Submitting to Social Bookmarking Sites - This one I really missed,thanks 'FADI' for reminding me about it.What you can do is add this social bookmarking buttons/script to your blog, then submit your posts to these bookmarking sites yourself or your readers can submit it. This will get your blog some links,but all these links will be placed deep, thus passing very less pagerank to your blog. But I think something is better than nothing and also these social bookmarking sites can get you some visitors as well. At present I am remembering of these methods only,I'll update this post if I remember any more. Also if you would like to add any method or suggest any coorection , plz leave a comment and I'll make suitable changes in post. I love blogging and above link is my blog. I have 0 Pagerank. Please tell me some improvement. After so much hard work, finally i got adsense approval but i am not getting any clicks on my blog.. Please suggest me some improvement and how can i get traffic for my blog..